The Prime Minister of Papua New Guinea, . Peter O’Neill , has extended the nation’s its sincere condolences to the Government of Thailand following the passing of the Late King of Thailand, His Majesty, Bhumibol Adulyadej. 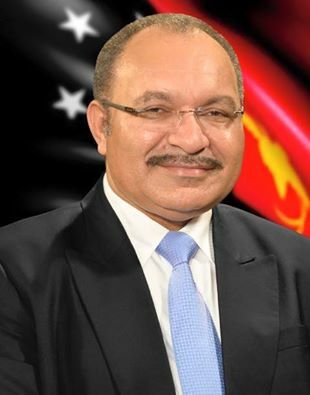 Prime Minister O’Neill has written to the Prime Minister of Thailand, Hon. Prayut Chan-o-cha, offering condolences and highlighting the strengths of the Late monarch. Over recent years Papua New Guinea and Thailand have strengthened bilateral relations, and the Prime Minster said the reverence to which King Bhumibol was held was remarkable. “His Majesty was a revered leader during his lifetime and proudly represented Thai culture, tradition and heritage around the world for so many decades. “As the world's longest serving Monarch, King Bhumibol, led his people as a leader of peace and harmony. “Through turbulent times in global affairs over seventy years, King Bhumibol was the calm voice who guided his people. “The people of Thailand are in distress for they loss and have now entered a year of mourning.